Hi Guys, let me clarify. I am using the connector where it says Leads and has the light globe on the end. can be used to power other components once the battery is full with so called surplus power? needed power is very low I have done the connection to this outlet. So back to the original question - Is this going to be OK using this method? The light bulb marks the load terminals. Your panels connected to the first two terminals. Battery connected to the middle two terminals. loads connected to the load terminals. 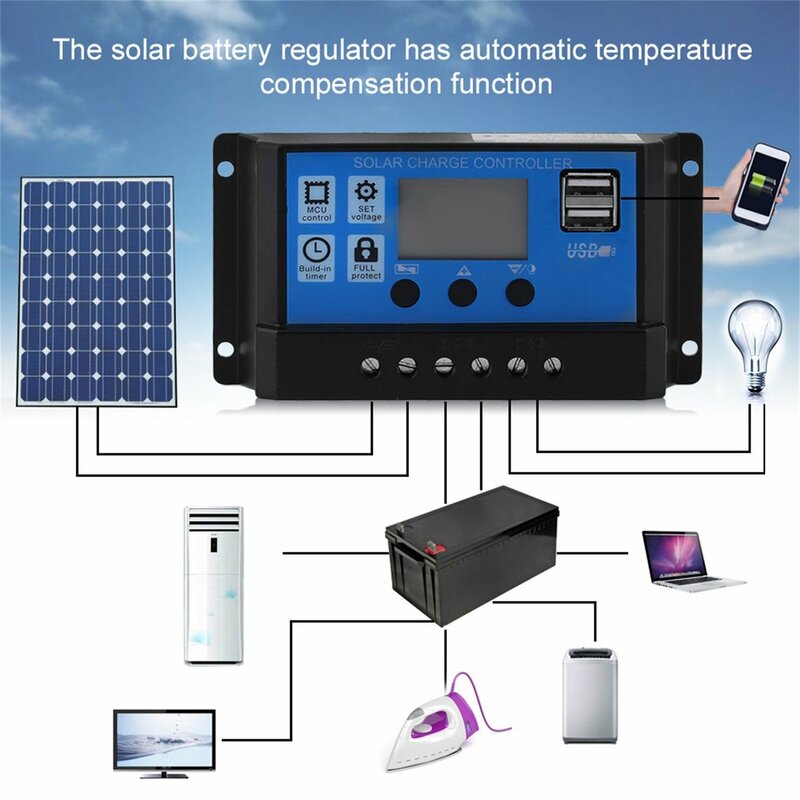 You are using the charge controller a way it was designed to be used. Your good to go. If later you decide to add more DC loads your need to make sure you don't overload the load terminals, there is a limit. If you ever want to power heavy loads you would need to do so directly off the battery. You're very welcome! Hope it was of help.